Brent Laster, a global trainer, presenter, and the author of the books Professional Git and Jenkins 2: Up and Running: Evolve Your Deployment Pipeline for Next Generation Automation will be doing a book signing at Open Source 101 on Thursday, April 18. 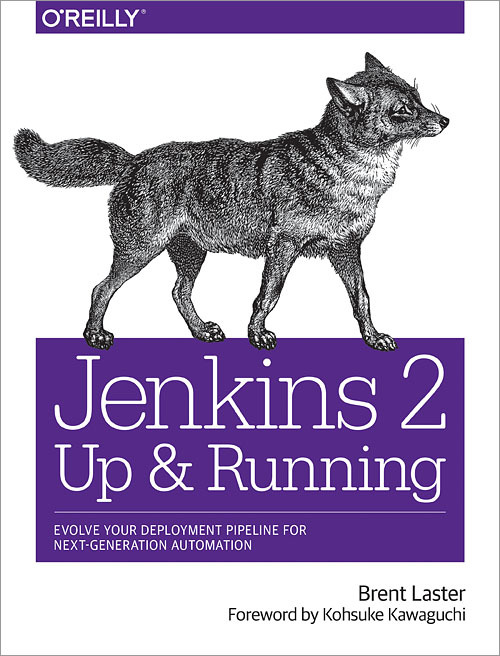 Brent will be signing 20 copies of Jenkins 2: Up and Running: Evolve Your Deployment Pipeline for Next Generation Automation. Books are being made available by O’Reilly Media and we greatly appreciate it. The book signing will take place on Thursday at 12:15 pm ET in the Alumni Center lobby by the registration tables. Books will be available on a first-come first-served basis. Contact us directly at [email protected] with questions about the book signing. Brent Laster is a global trainer, presenter, and the author of the books Professional Gitand Jenkins 2: Up and Running: Evolve Your Deployment Pipeline for Next Generation Automation. In his day job, he is a senior manager of software development in SAS’s Research and Development Division, based in Cary, North Carolina, where he manages several groups involved with cloud technology development, security, SaaS, and internal tooling. He also serves as a resource for the use of open source technologies and contributes to enterprise DevOps development. Brent also develops and presents training and workshops for a wide variety of technical conferences. His workshops and informational sessions have been featured at such venues as Jenkins World, OSCON, DevOps World, the Gradle Summit, Open Source 101, UberConf and others. You can also find Brent regularly conducting live web training courses on the Safari platform. Brent’s passion is teaching and doing so in a way that makes difficult concepts relatable to all. You can contact him at @BrentCLaster on Twitter or on LinkedIn.